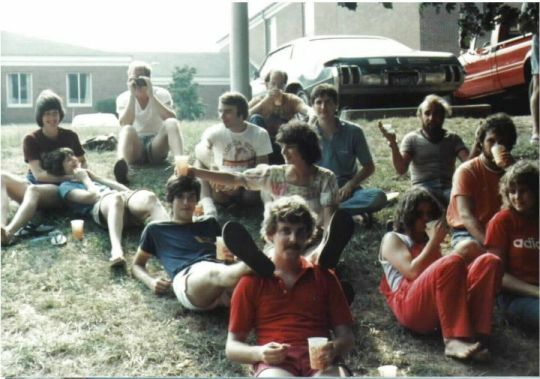 Summer Camp 1982. 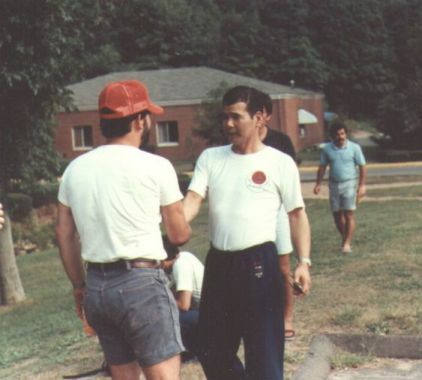 Camp Chairman, Jimmy Cognetta shakes hands with guest instructor, Sensei Ueki. UConn Summer Camp crew. Front: Seth Lapuk, Odie Pansius, Karen Anthony, Maura Graham, Bob Jacobs. Back: Jack Jurick, George Emmerthal, Jim Klucznik, Dana Manner, Steve Kissel, Daria Moravek, Mike Bray. Relaxing on the hillside. 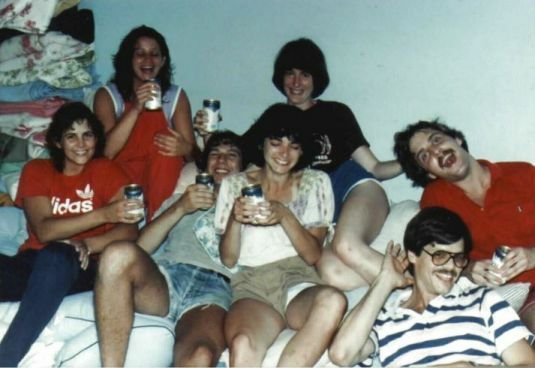 Loosely left to right: Kathy Lucas, Sue McKenzie, Jim Klucznik, Dana Manner, Mark Collins, George Emmerthal, Steve Kissel, Matte Thomas, Tim Becker, Maura Graham, ?, Mark Blake, Daria Moravek. Back at the dorm. Daria Moravek, Maura Graham, Tom Sbabo, Matte Thomas, Kathy Lucas, Ed Page, Steve Kissel. 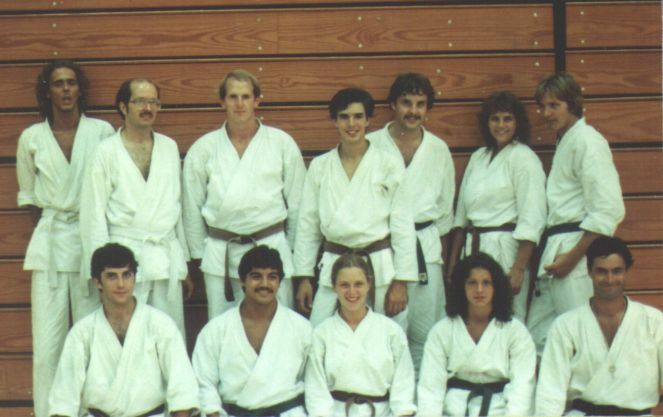 Some of Sensei Mori's instructors. Front: Eiji Toryu, Chuck Muller, Ken Short. 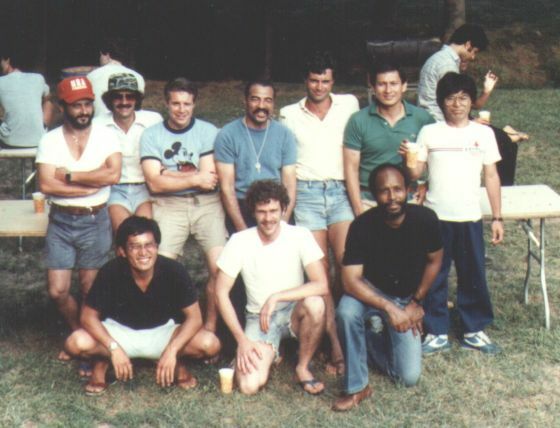 Back: Jim Cognetta, Doug Luft, Bob Shapoff, Bob Esquere, Bob Jacobs, Alex Sisson, Isami Shiroma.